If your order is a gift, we can provide a gift tag for your use. 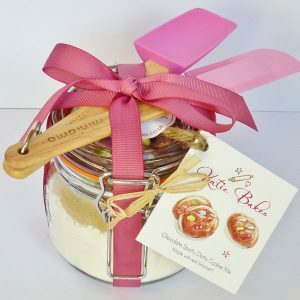 A perfect gift for anyone who loves to bake or any aspiring baker. This “Katie Bakes” baking gift set comprises a fantastic quality 1.5 litre melamine mixing bowl in Red, and a mini colour coordinated spatula and your choice of “Katie Bakes” baking mix, attractively layered within a genuine glass Kilner jar, all wrapped in cellophane and tied with a colour coordinated ribbon. The mixing bowl has a very handy pouring spout and handle, as well as a rubber non-slip base and both bowl and spatula are dishwasher safe. 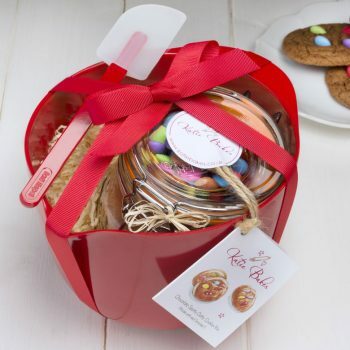 The baking set comes with your choice of cookie mix jar and you can choose from either our Belgium Double Chocolate Chip Cookie Mix jar, Chocolate Spotty Dotty Mix jar, Gorgeously Gooey Brownie Mix or our White Chocolate and Cranberry Cookie Mix all of which just require the addition of melted butter and an egg to make delicious goodies. 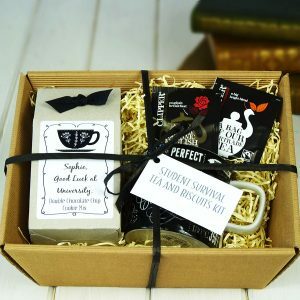 We offer the option to add a gift tag with a personalised message. 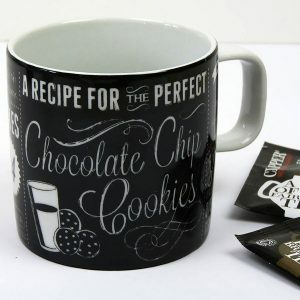 See baking mix jar listing for ingredients of your chosen mix.